Walt Disney World has two monorail lines, and neither of them go to Disney’s Hollywood Studios. One monorail line goes in a loop that serves the Magic Kingdom, Contemporary Resort, Walt Disney World Transportation and Ticket Center, the Polynesian Village Resort, the Grand Floridian Resort and back to the Magic Kingdom. Technically there is a second part of that line that does the exact same loop but only stops at the Magic Kingdom and the Transportation and Ticket Center, that is the “express” monorail. The second monorail line goes from the Transportation and Ticket Center to Epcot and back, only those two stops. 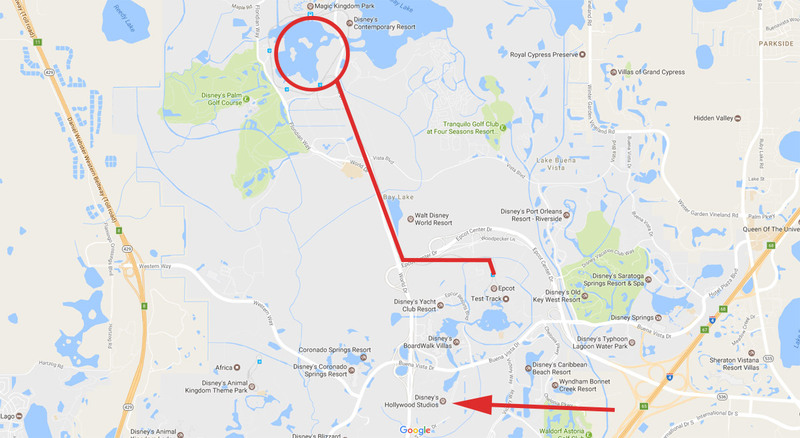 Neither of those lines extend beyond Epcot to the South, and there are no plans by Disney to add additional monorail lines. However, many rumors have persisted the last couple years of some alternate form of transportation like light rail or a gondola type system that connects all the parks and resorts. It will be interesting to see what finally connects Hollywood Studios to the other parks.